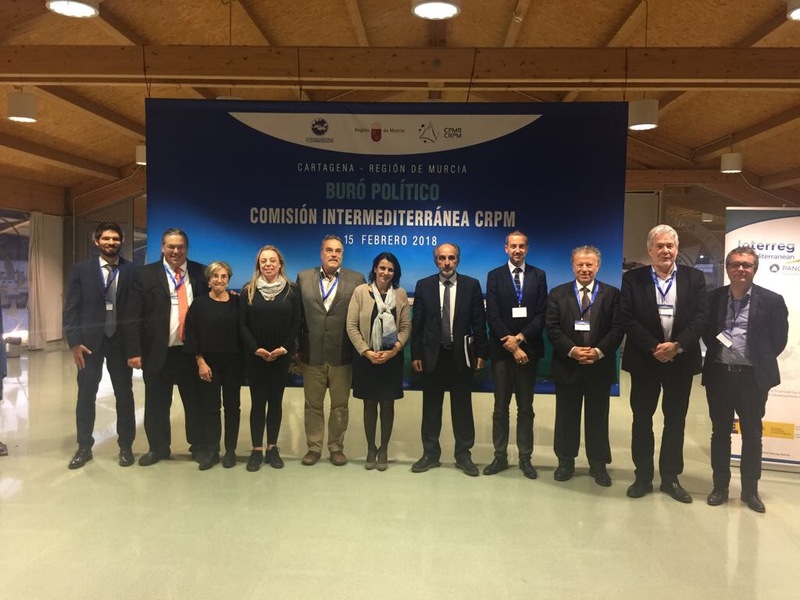 The CPMR’s Intermediterranean Commission (IMC) held its latest Political Bureau & Working Groups meetings in Cartagena, located in the Spanish Region of Murcia on 14/15 February. The Intermediterranean Commission Regions, their partner PANORAMED and representatives of EU institutions and external stakeholders, discussed several opportunities for concrete action on sustainable tourism, maritime and transport issues, as well as emerging strategies, territorial cooperation and migration. Despite the recent proposals tabled by Budget Commissioner Günther Oettinger, the Intermediterranean Commission Political Bureau strengthened the need for a more ambitious European project that should count on a reformed Cohesion policy for all the EU regions and trigger the potential of innovation, culture, young and older generations, while paying specific attention to climate, environment, maritime issues and other structural challenges, such as migration that entail a multilevel governance dimension. In this perspective, the EU must exploit the potential of the Mediterranean and its Regions as well as the cooperation with Mediterranean partner countries and its Local and Regional authorities. For this reason, the Intermediterranean Commission Political Bureau expressed the need to build up a sound Mediterranean alliance for sustainable development, based on innovation and with the regions at its core. Opening the meeting, Fernando López Miras, President of the Region of Murcia, stressed in particular the issues that the Mediterranean face when it comes to Climate Change and water or coastal management. In this perspective, he stressed that “we need to act fast because, the consequences of Climate Change impose urgent obligations” and for instance “water scarcity in many Mediterranean regions, such as Murcia, must be considered a shared issue”. Afterwards, he officially signed the Bologna Charter, joining a strong and large group of Mediterranean regional and local authorities that work since 2012 – through dozens of transnational and local major coastal projects – on the adaptation to climate change and sustainable development in the Mediterranean coasts. Patrizio Bianchi, member of the government of Emilia Romagna Region and the Intermediterranean Commission Political Bureau, insisted on the need for a stronger Mediterranean alliance based on innovation and research (e.g. Big Data) and – echoing the latest CPMR Declarations – insisted that “we must reject any EU proposal reducing the resources for Cohesion Policy, as it constitutes the best instrument for triggering the development of human capital and innovation in Southern Europe”. After an intense session of exchanges with external stakeholders, where many experiences and instruments (e.g. planning tools, decision support systems etc.) coming from projects (e.g. 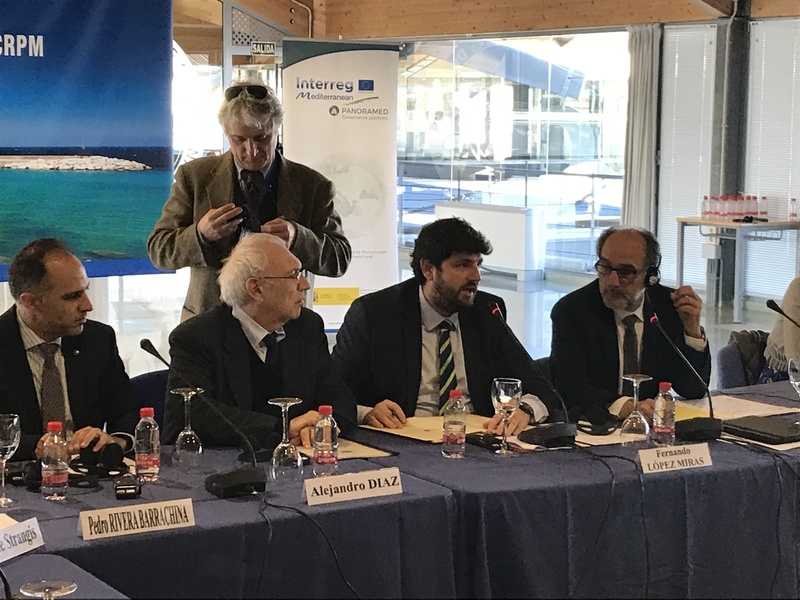 Interreg MED, H2020, ENI CBC MED), the Intermediterranean Commission Political Bureau unanimously approved a Political Agenda for the promotion of Sustainable Tourism in the Mediterranean. The agenda pays a special attention to the added value that the regions and territorial cooperation can provide in this field and asks the EU to “strengthen the shift towards a sustainable, innovative and digital tourism sector at policy and infrastructure level with a special attention to the Mediterranean” and to “dedicate a specific budget line for tourism in the new Multiannual Financial Framework, in order to move towards a genuine European tourism policy capable of unleashing the potential of the quadruple helix”. 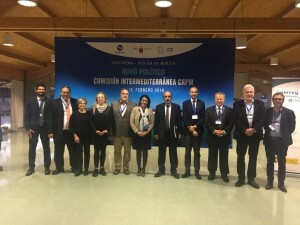 In coherence with its global action, the Intermediterranean Commission also endorsed the UNIMED Petition for a Mediterranean Erasmus Generation and the Cohesion Alliance. Furthermore, the Intermediterranean Commission Political Bureau Members supported the CPMR’s key messages on migration and the role of the regions that concern the reform of the Common EU Asylum System and the future funding instruments, which will be officially presented to the CPMR Bureau for approval in March, within an issue paper on “Migration and Asylum in EU Regions: towards a multilevel governance approach”. After the presentation of several experiences of the Intermediterranean Commission Regions in this field, President Katsifaras stressed that “Europe will never manage to return not even a small portion on the arrivals as long as war, starvation, lack of freedom and justice rule in the countries of origin” and that the migrants are “desperate and gambling their lives on the waves of the Mare Nostrum. But even when they arrive, their trip is far from over. Another long journey starts in the sea of the bureaucracy. This trip maybe is not putting their lives in danger, but it puts under pressure their dignity and the tolerance of our communities. In this perspective regions can provide an added value when it comes to reception, integration and social inclusion, if supported with the right set of competences and funding instruments”. Finally, the Bureau, decided to work on a strong political position on the future of territorial cooperation in the post 2020 period with a focus in the Mediterranean. This will imply a deep internal reflection on its added value, future potential objectives, architecture, geography and management on the base of the experience and the needs of the territorial key players. The exchanges during the meeting were especially reach also due to the very active participation of all the partners of the PANORAMED project (countries and regions) funded by the Interreg MED programme (under its axis 4 on governance) and many other representatives from the European Institutions as DG MARE and NEAR of the European Commission, as well as the Union for the Mediterranean Secretariat and several universities. In advance of the main Political Bureau meeting, several Intermediterranean Commission’s Working Groups and Task Forces met on 14 February, in particular the Working Group “Transport and Integrated Maritime Policy” and “Territorial Cooperation & Macro-Regional Strategies”. 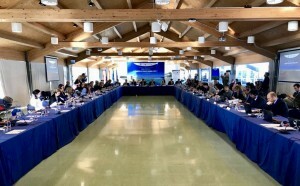 This was an excellent opportunity for the Intermediterranean Commission Members to advance on key actions dealing with the Trans European Transport Network and the CEF corridors, Blue Economy and many specific projects, including capacity building actions for Local and Regional Authorities on territorial integrated development in the Neighbourhood south. Do you want to know more on this event? Check the media coverage (news, video and photos) and our twitter profile.